Tata Nano, one of the highly anticipated and unfortunate vehicles from domestic car maker Tata Motors is once again back in limelight. According to recent reports spies have witnessed the electronic version of hatchback being tested on Indian roads. The prototype of electronic Tata Nano did not carried any major physical change except the placement of electronic charge socket at the left corner of rear side. 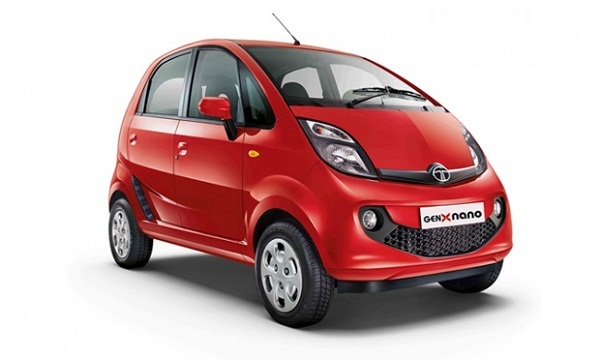 Apart from this the only noticeable change in Electronic Tata Nano is lower ground clearance than GenX Nano AMT. This might be mainly due to weight of lithium batteries that are required to power the vehicle resulting in compressing the vehicle. To retain the balance between batteries and other components of vehicle, car maker has worked hard on centre of gravity including between front and rear portions. The batteries are expected to be installed on the front portion of vehicle on floor for sustaining improved centre of gravity. Once launched in Indian car market the electronic Tata Nano will be beneficial deal for car buyers in Delhi who could not buy car due to ban on diesel vehicles in the national capital. For first time Electronic version of Nano was showcased during the Geneva Motor Show held almost six years back in 2010. With acceleration speed from 0 to 60 kmph in the span of 10 seconds, the Nano EV will reach the top notch of 160 kmph. After launch in Indian car market it will compete against Mahindra e2o.